Despite the the horrible hi-jinks and spectacular skulduggery, the depraved Democrats failed to destroy a great man and his family and get the vote postponed until after the midterms which they feel sure they’ll win — but they won’t. When can we expect perjury charges to be filed? If the far-left operative won’t appear, why delay? This is wholly emblematic of the left — lawless, autocratic and always self-righteous. They are the party of treason. Despite any rules that govern this august body, the Democrats shouted, stomped and refused to allow the hearing to go on. President Trump’s SCOTUS announcement was nevertheless an exciting and historic moment. Similar to a starting gun at a track meet, it was a signal that the battle in the Senate can now begin in earnest. The unhinged and increasingly Democrat mob is showing the American people who and what they really are. Unlike in the sixties, they don’t have urbane personalities such as Walter Cronkite explaining their treason as rational. Yes! We will be able to offset the far-left and unhinged Obama picks, Justices Sotomayor and Kagan. Life is good. 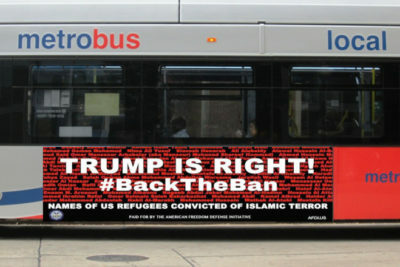 All Muslims of conscience would support a national security ban designed to keep jihad war from coming to our shores. One small step to preserving our freedoms and our national security. The left has suffered a stunning and brilliant defeat. Excelsior! This measure, though imperfect and hardly enough, will impede the hijah (ummigration jihad). The court giveth and the court taketh away. The Supreme Court is letting a limited version of the Trump administration ban on travel from six mostly Muslim countries to take effect, a victory for President Donald Trump in the biggest legal controversy of his young presidency. 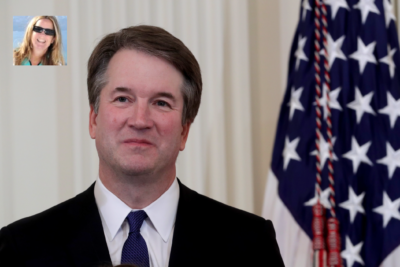 TRUMP TO GET ANOTHER SUPREME JUDGE? The left is going to explode. I can’t wait. Trump, go hard. Go hard, man. We have your back. 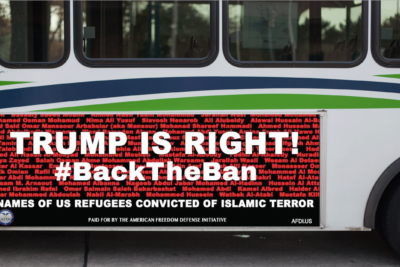 The case before the Supremes need no more than body count of Islamic terror attacks in the West and (as illustrated in our ad campaign which we are suing to get up in Seattle), the names of refugees arrested in jihad terror-related crimes here in America. Finally, the Republicans dig deep for much needed testicular fortitude. The Democrats did it without so much as an iota of hesitation.